Create engaging visual documents. 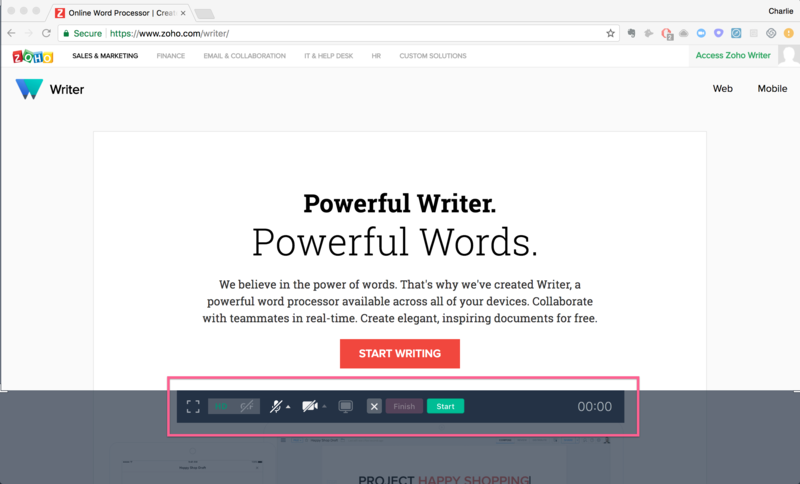 Create visual content (GIFs, videos, screenshots), edit and annotate, then add it directly into a Zoho document. Capture and draw on any page you want to add to your document. Add arrows, boxes, underline, and emoji to highlight something you want to make sure you remember or that you can easily point out to someone else. Remove the back and forth and quickly get to the point. 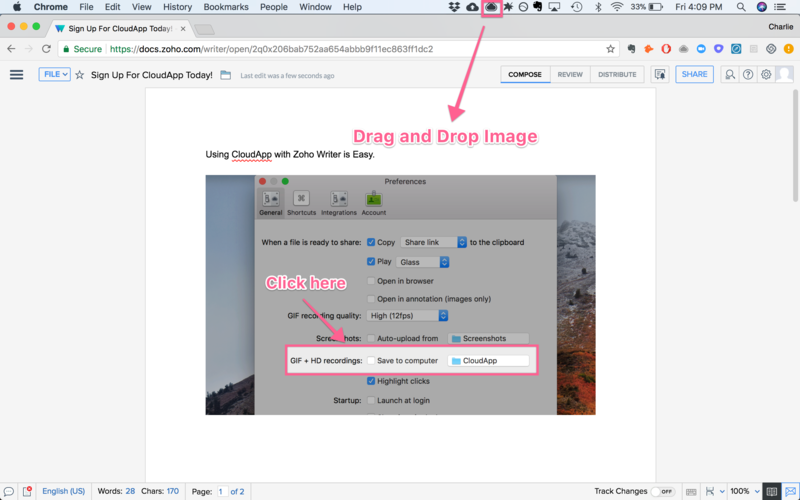 Quickly create and then insert GIFs, videos, screenshots, and high quality visual content directly into a Zoho document.